We have finished our winter grafting, and I'm always pleased when we can accomplish that task before the end of February. 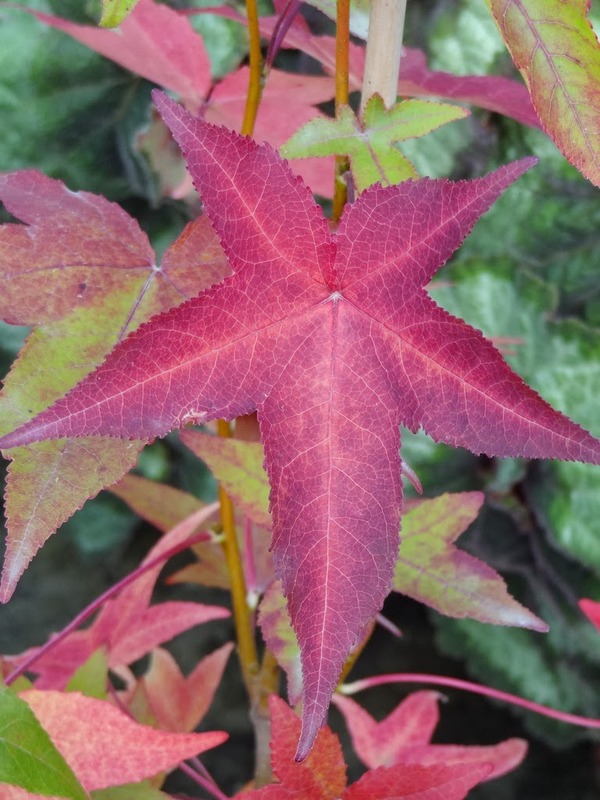 In years past when we produced many, many thousands of grafts for custom-liner sales, we would be pushed into the end of March, and the success rate would diminish with every day that we crept into the warmth of spring. 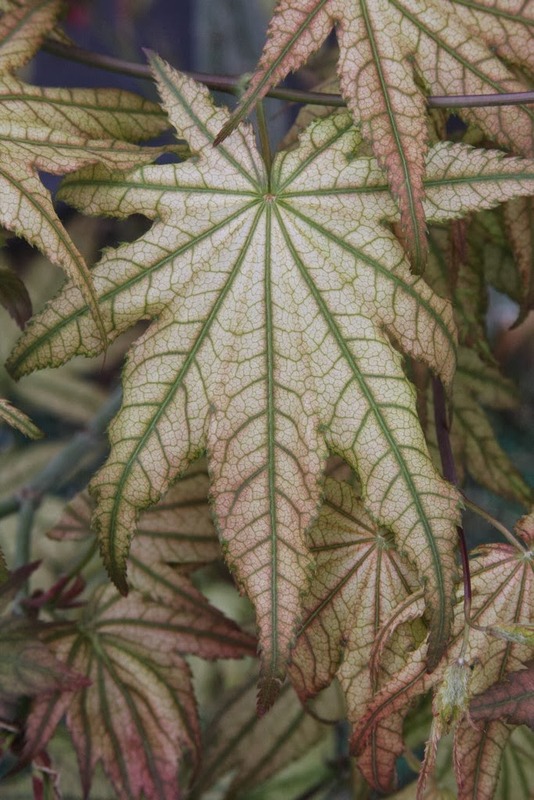 In those days we arose early, worked damn hard, but made only a bare profit by supplying other wholesale nurseries with choice – and often new – plants to grow on. In hindsight I shouldn't have expected our liner customers to understand or appreciate the monumental effort that Buchholz Nursery made on their behalf. By 2006 I had reduced the frenzy by a third, to only include liners (lining-out stock) that were most reliable for us. Good thing, because by 2009 very few were ordering any liners at all. Many of my "good" friends and "loyal" customers proved to be not so good and loyal after all. And shame on many of them for the unprofessional way in which they handled our relationship. * But that is the good aspect to general hard economic times: that you find out just who is who. Not to brag, but our sales never declined for our specimen material – in fact just the opposite. I have come to realize that our "best" customers are not defined by dollar sales, but rather by their happy, satisfied and repeated business. I'm proud if I can be a part of your success, and thanks to the many of you who behave properly. 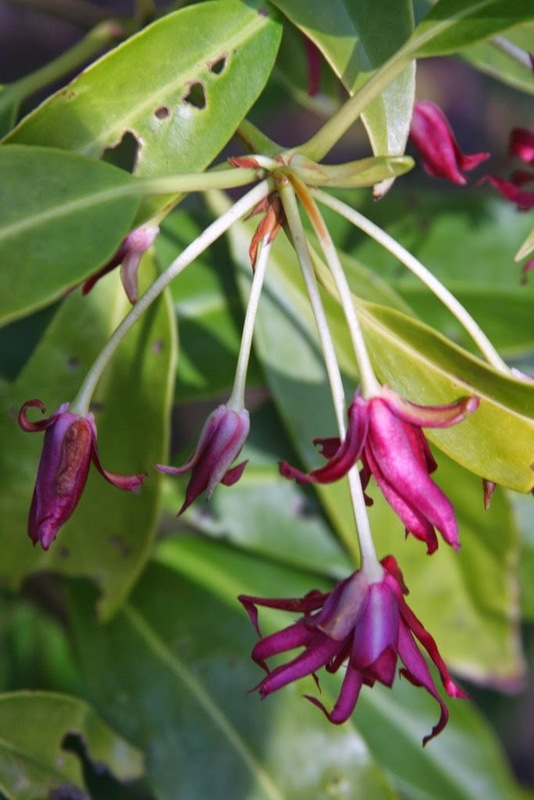 General Manager Phil Turrell and I have both concluded that we are best off to propagate a lot of plants, but all in very modest-to-small numbers. 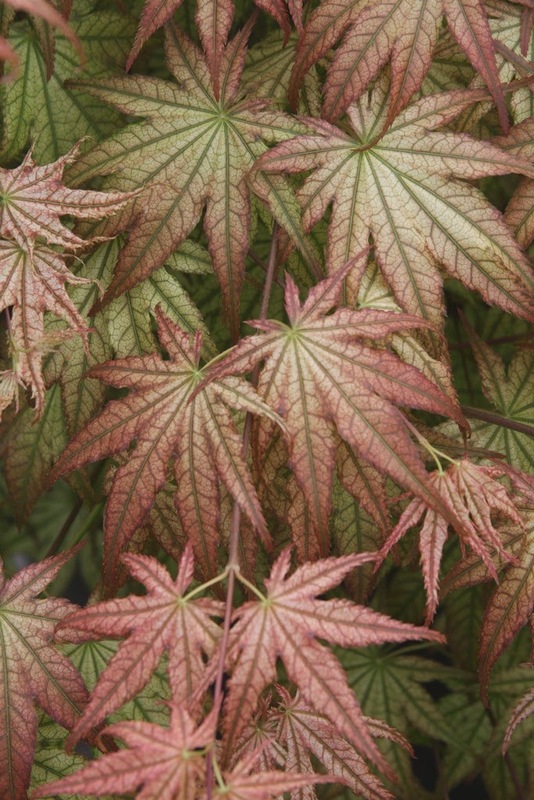 There is no such thing as guaranteed sales for any plant, anymore, in spite of previous experience. We can sell out one year, and sell nary a one the next, and that's the new reality for the nursery industry. 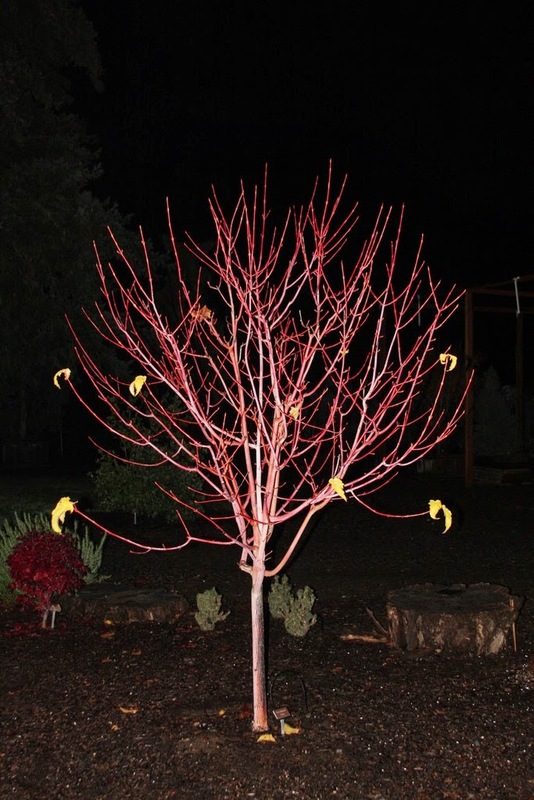 Our winter season's potpourri of grafting includes mostly conifers, but also a good many deciduous trees and shrubs. 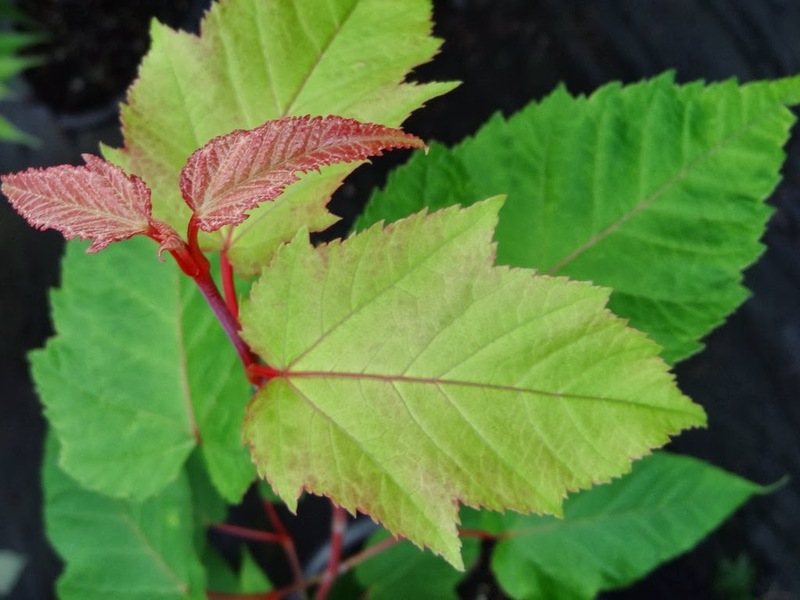 We did a lot of maples – a dozen species or so, some on our hot callus pipe and some not. 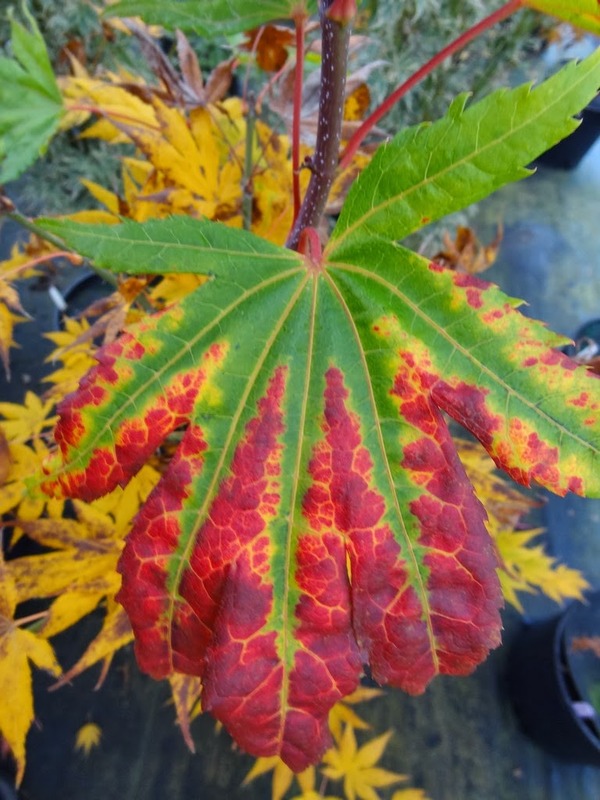 As usual we grafted a handful of Acer conspicuum 'Phoenix', and I'll be thrilled if even half of them "successfully copulate," as the Europeans put it. 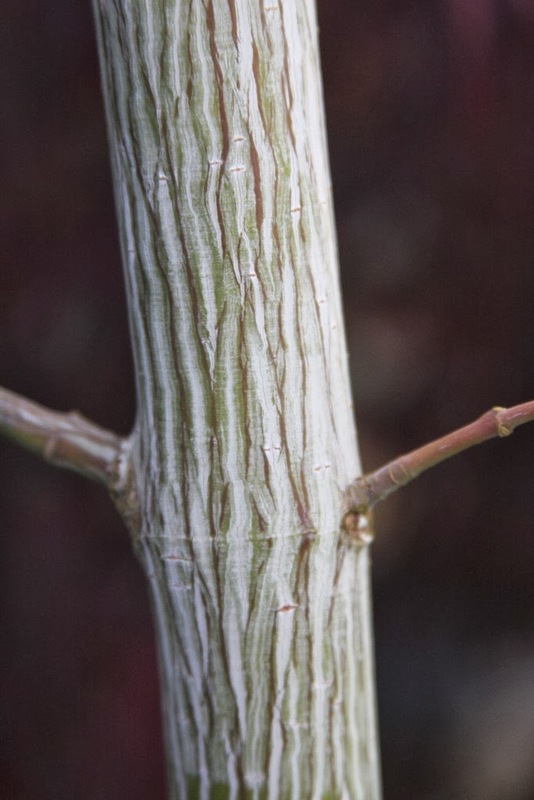 Other "stripe-barks" attempted include Acer davidii 'Serendipity', 'Serpentine' and 'Silver Fox', as well as the illustrious Acer pectinatum 'Mozart', the bushy large shrub or small deciduous tree that features delectable dark red bark with silver stripes. 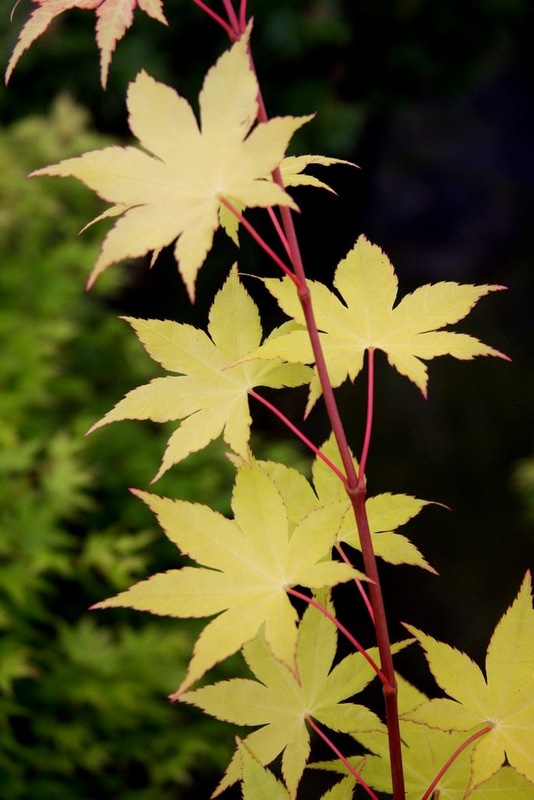 We grafted a few more – beyond what we did this past summer – of Acer palmatums 'Summer Gold' and 'Festival'. 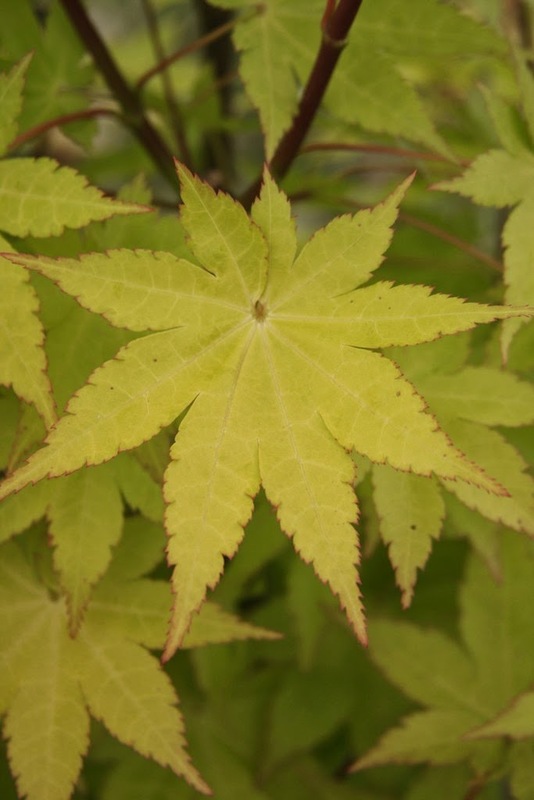 'Summer Gold' has typical palmatum leaves, but of a golden color that do not burn in full sun. You can't have too many of them, so far. 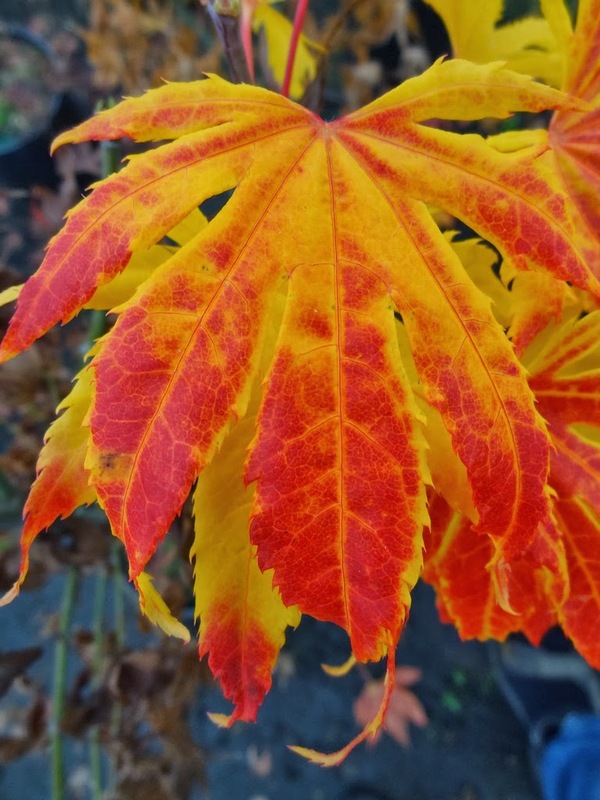 We also propagated some more Acer palmatum 'Festival', our introduction with fantastic red, orange and yellow autumn color. 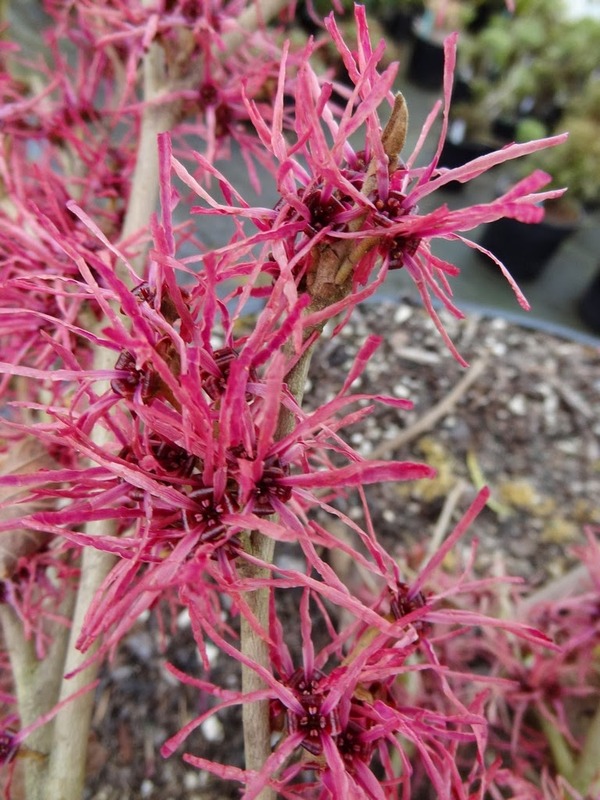 And again we attempted a number of Acer palmatum 'Fairy Hair', for traditionally we do quite well with winter grafts of that cultivar. 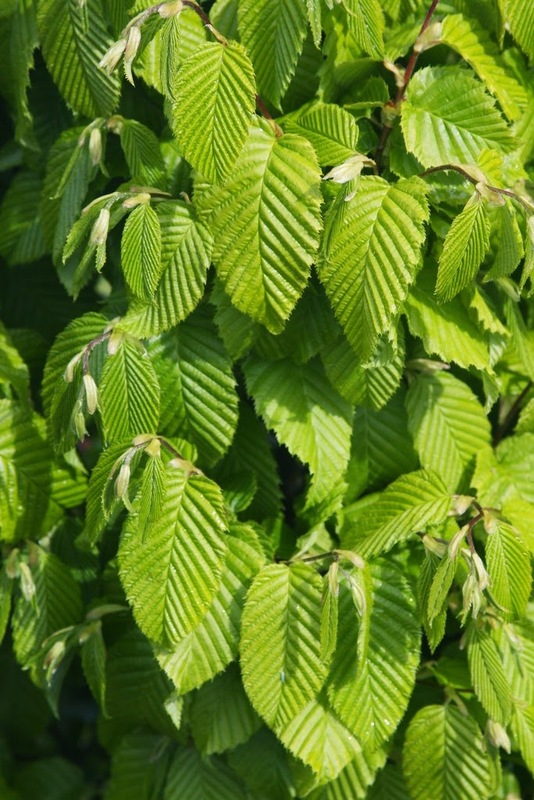 We typically graft Carpinus betulus, or "European Hornbeam," in the winter. We did a few of the cultivar 'Monument', and the remainder with the old 'Columnaris Nana', and I do not yet know how the two differ. 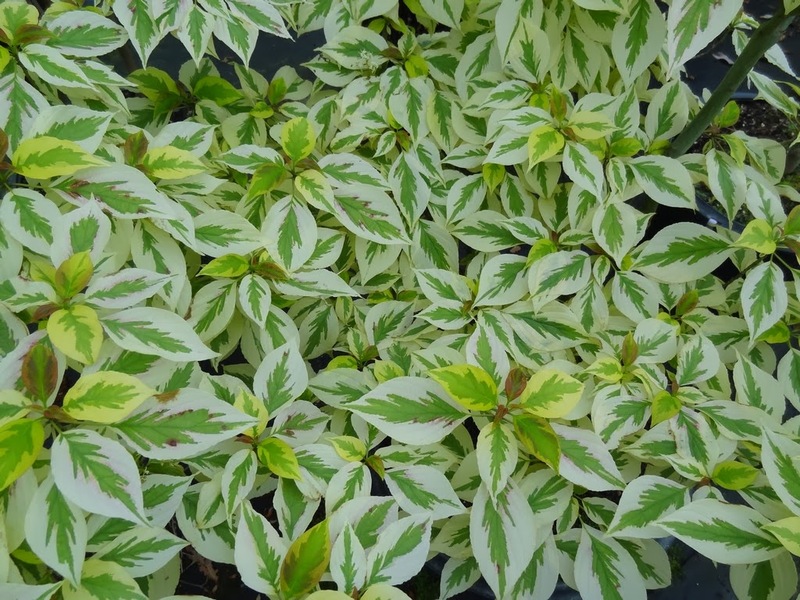 What I do know is that we would previously sell out of these plants, even though I personally find them to be kind of boring. 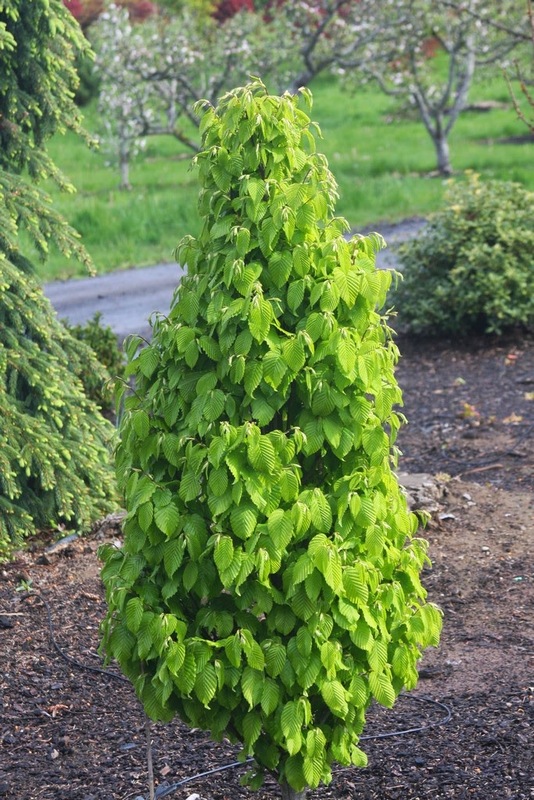 These dwarf columnars are best in spring when they feature lime-green new growth, but they have nothing to say for themselves in autumn with disappointing yellow-brown leaves. 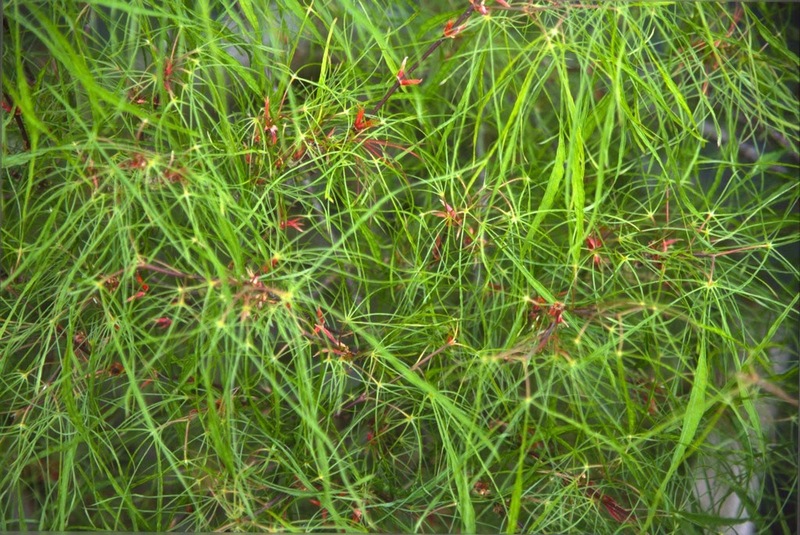 But, in winter, you can observe their muscular erect branches, and they all seem to be raising their arms in praise. 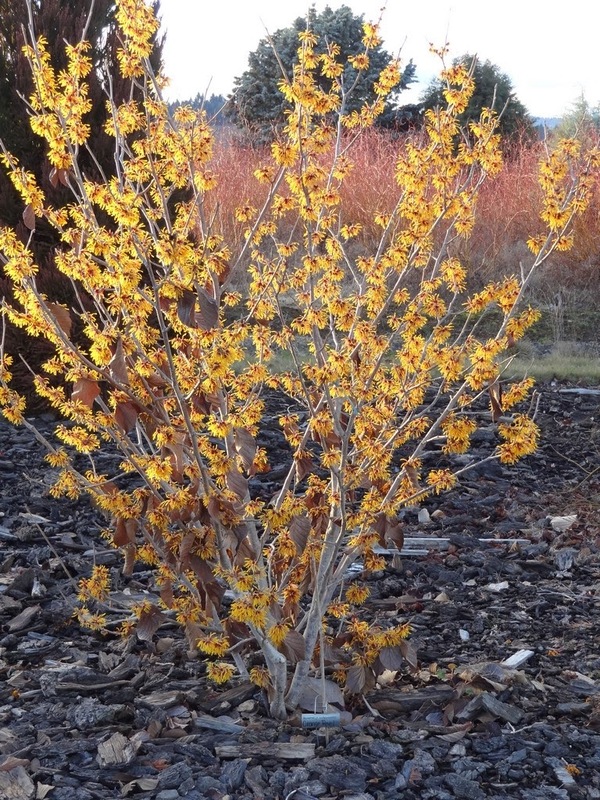 As usual we produce a number of "Witch Hazel" grafts in winter, always using Hamamelis virginiana as rootstock. 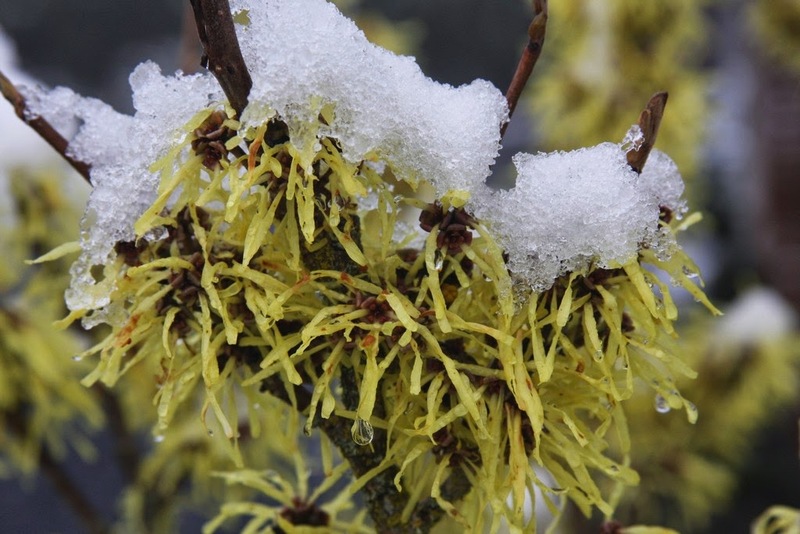 Two yellow-flowering cultivars, 'Angelly' and 'Sunburst', have effectively surpassed the old 'Arnold's Promise', 'Primavera' and 'Boskoop Glory'. The former two usually bloom at different times, which is why I like them both, but also because their yellow flower straps are so bright and clear. We also cranked out a number of 'Orange Peel', our only orange to be propagated this year. Add to these some 'Birgit' for a red-flowered selection, and 'Blue Moon' for a...well, blue-purple flower experience. 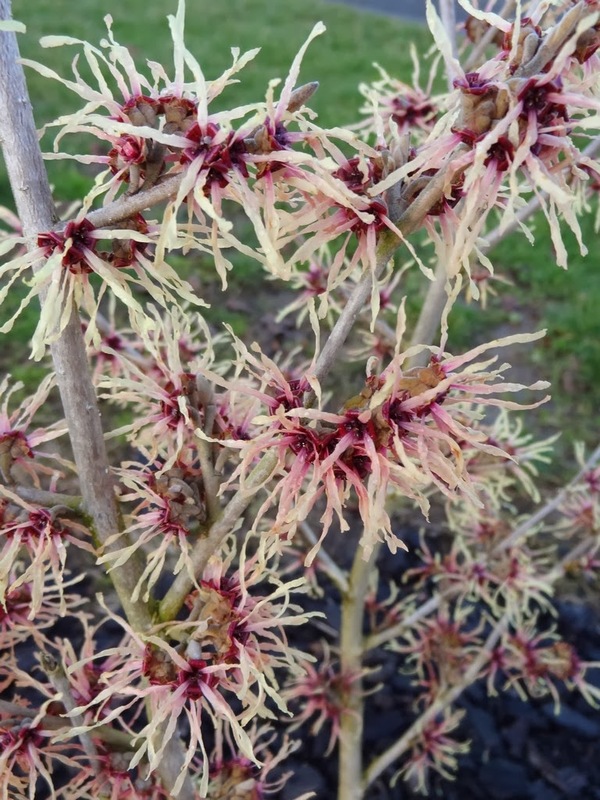 For some reason I'm highly excited about the new cultivar Hamamelis 'Strawberries and Cream', just as I was thirty years ago with the new maple cultivar, Acer palmatum 'Peaches and Cream'. 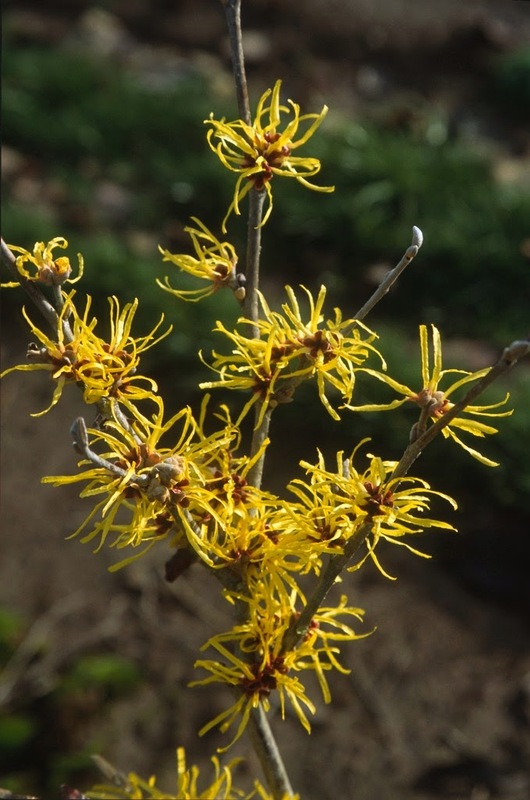 I can't fully explain what happens with the witch hazel, but the combination of dull yellow petals with reddish centers is most likable, indeed worthy of cultivar status. I planted one at the top of the long-entrance road to my home, and I relish it this week with afternoon backlight from its west. 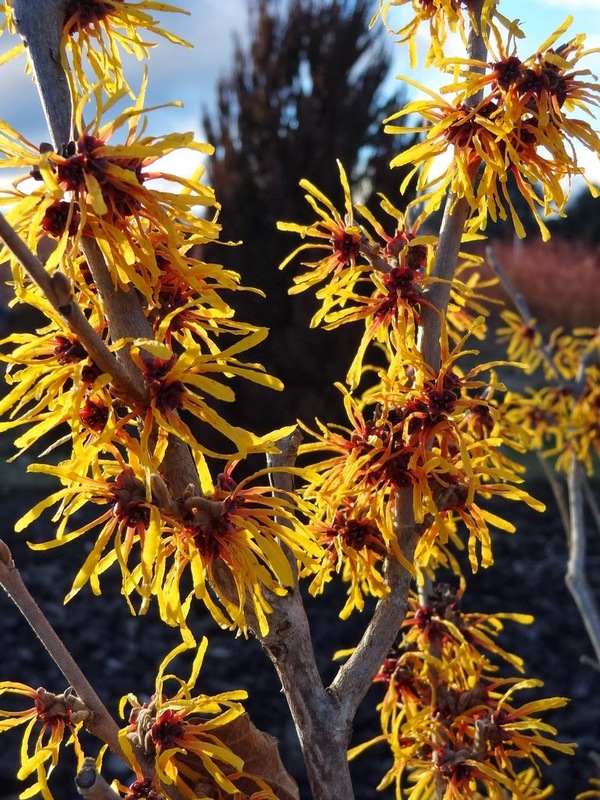 The generic name Hamamelis combines two Greek words meaning "fruit," as in apple or medlar, and "together," which describes the Hamamelis habit of producing flowers at the same time that the previous year's fruits mature and disperse seed. 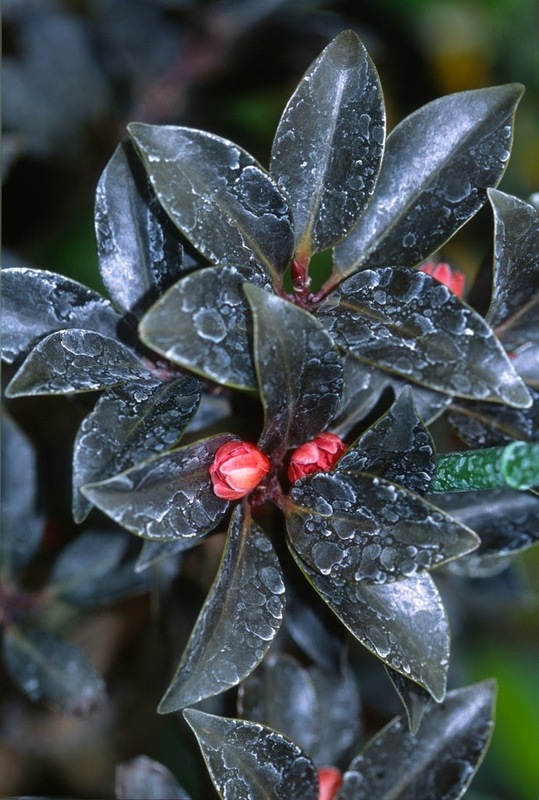 Southeastern Native Americans favored the nutty seeds, but caution was necessary as the oily seed capsules could explode when heated. 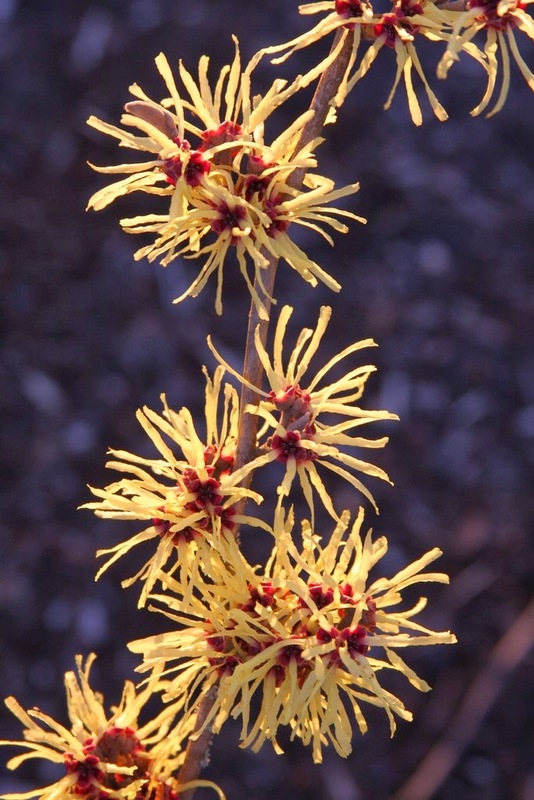 Hamamelis was a widely used medicinal plant for them, curing everything from an aching back to mosquito bites to hemorrhoids. 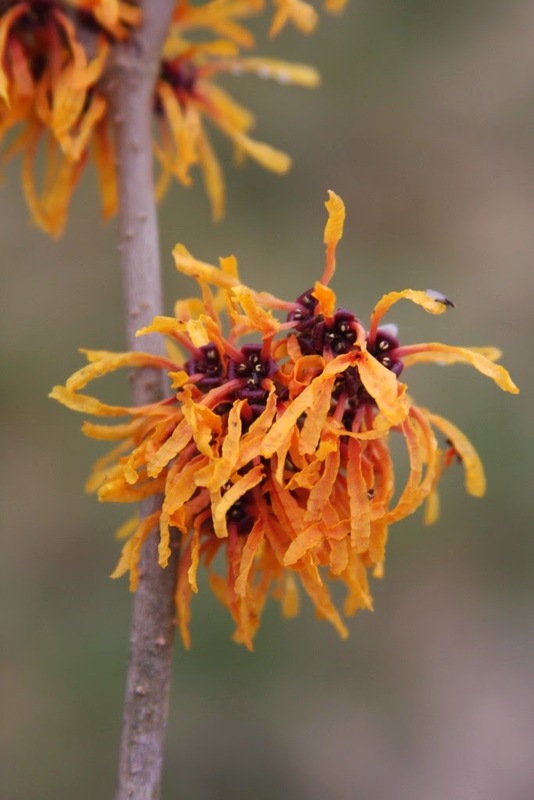 Best of all, for you aging beauties out there, witch hazel extracts have shown some potential in anti-aging or anti-wrinkling applications. I'll love you equally, anyway though, wrinkles or not. 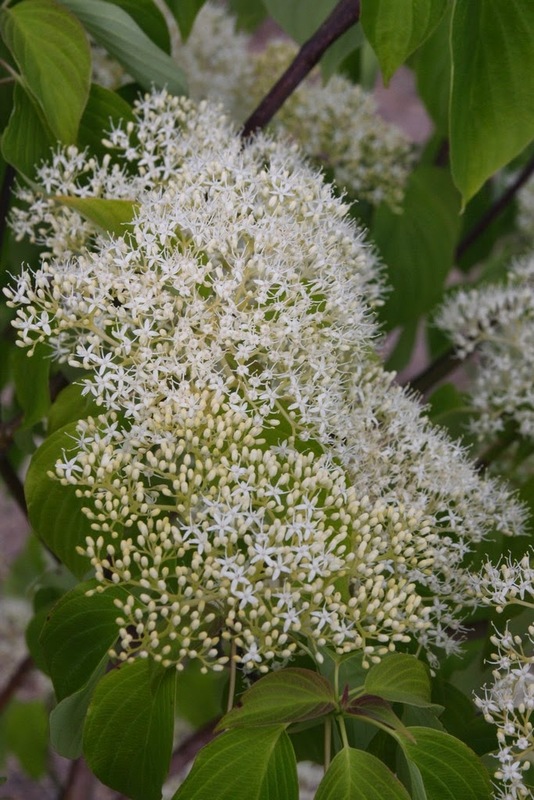 Cornus alternifolia is a native eastern USA large bush or small tree with, yes, alternating leaves. 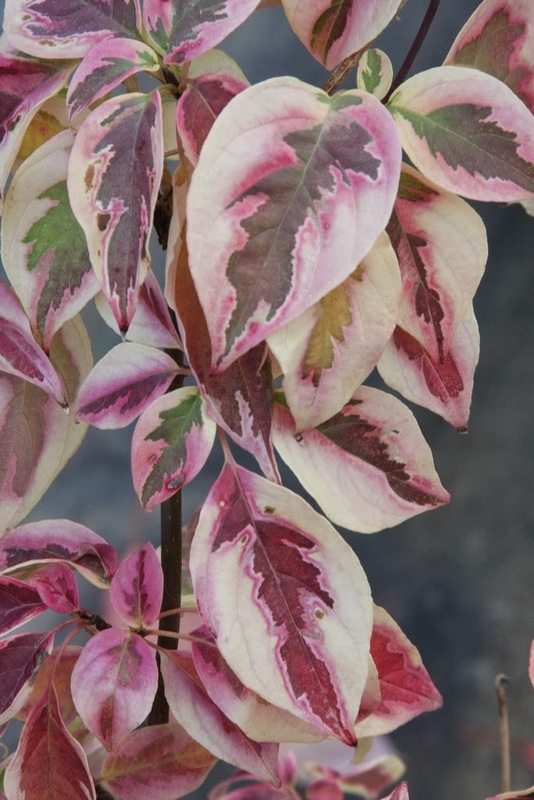 I've never seen the straight species for sale, even though autumn foliage can be a wonderful pastel of soft colors. 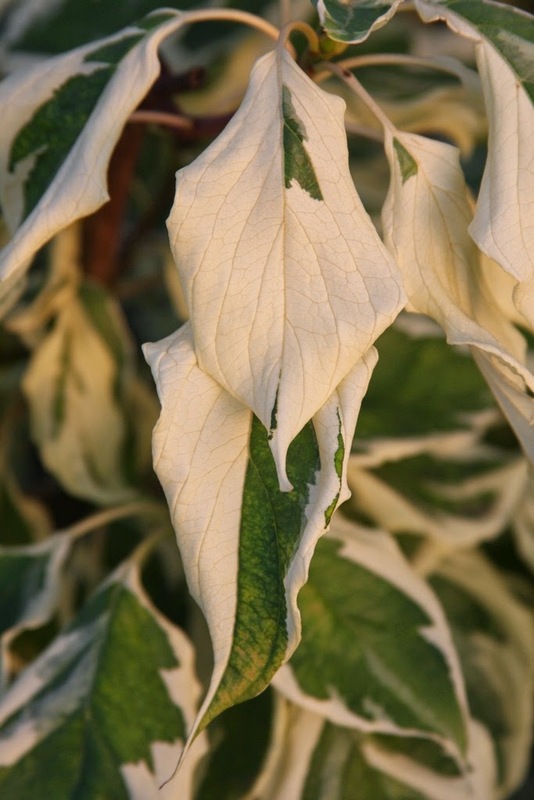 Most commonly we encounter the variegated form, Cornus alternifolia 'Argentea'. 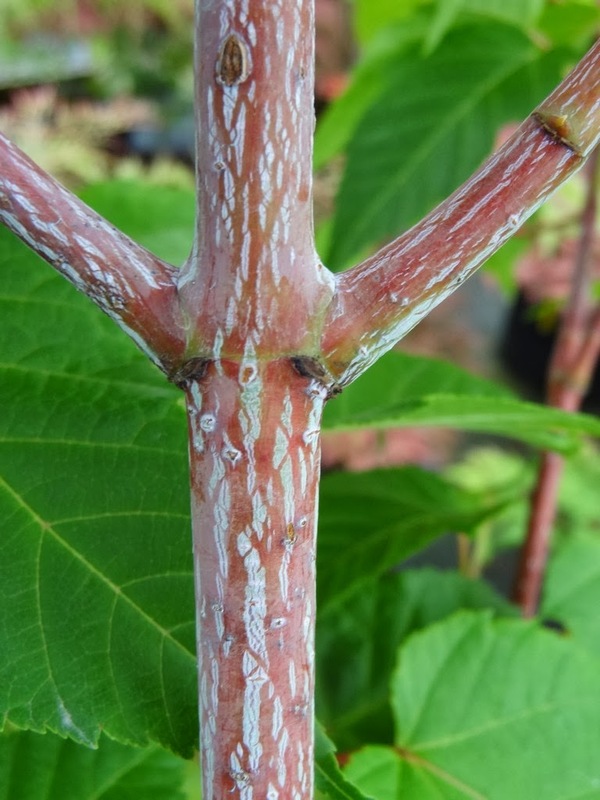 The selection is not strong on its own roots (propagated by rooted cuttings in summer under mist), so we prefer to graft it onto alternifolia rootstock. 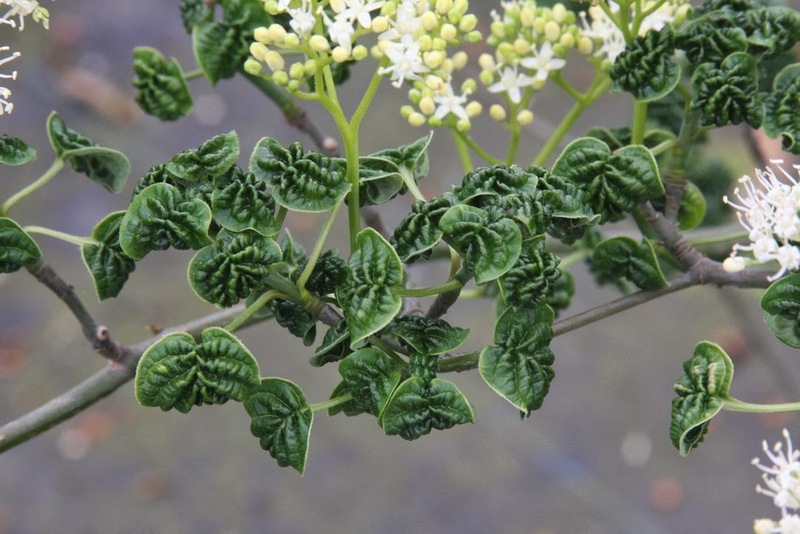 They can grow awkward and spreading when young, and pruning rather than staking seems to produce the most attractive forms. 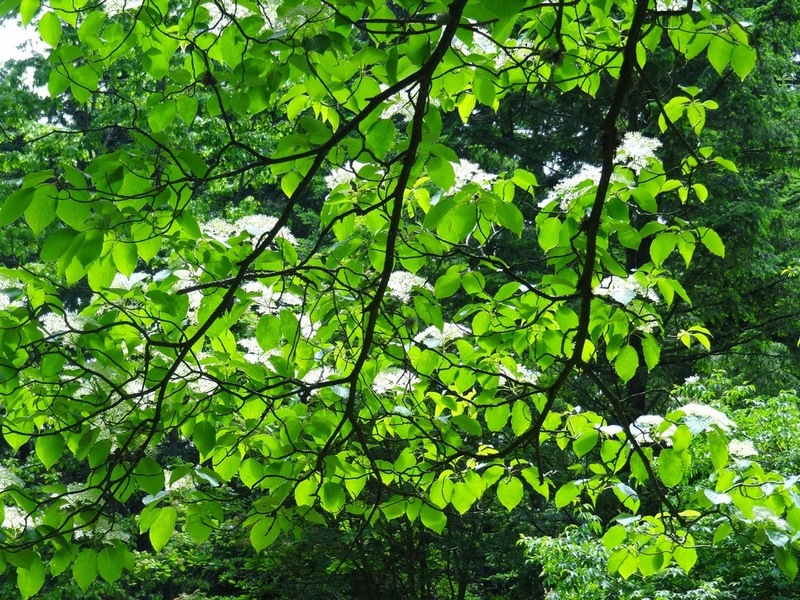 Any green branches should be removed, or that portion will eventually dominate. 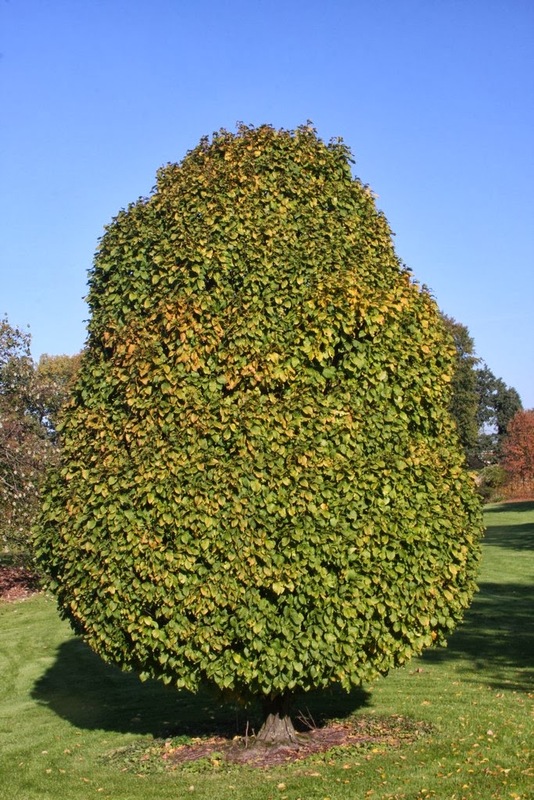 All in all, 'Argentea' is a classy deciduous tree, one that fetches a good price. 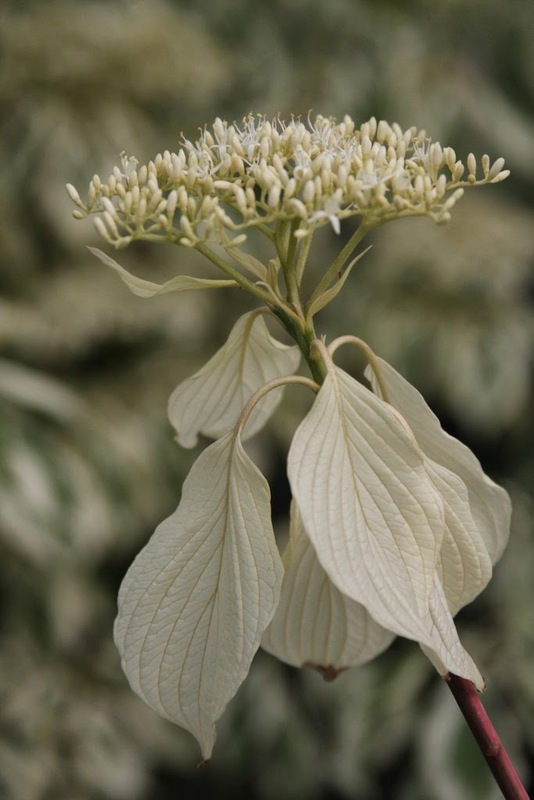 I have read before that the high price is due to difficulty in propagation – alleged in one of those shallow gardening magazines – but that is amusing news to me. 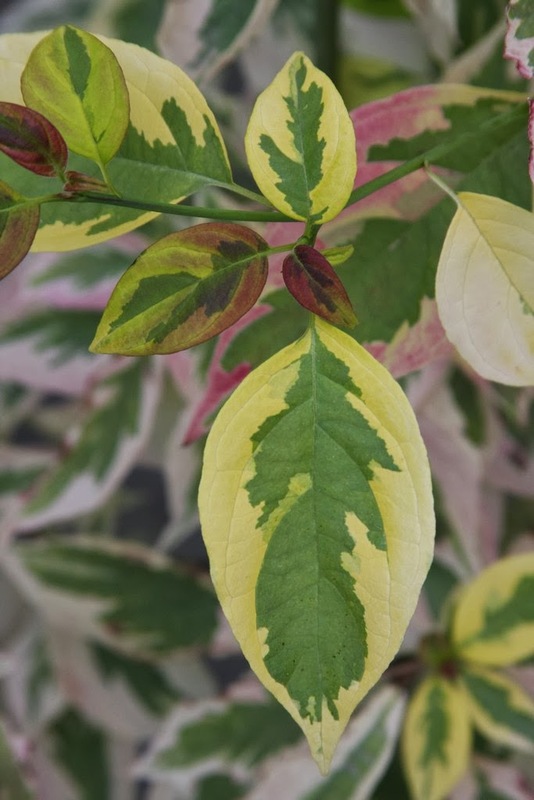 Buchholz Nursery has introduced two other variegated Cornus alternifolia, 'Saya' and 'Moonlight'. 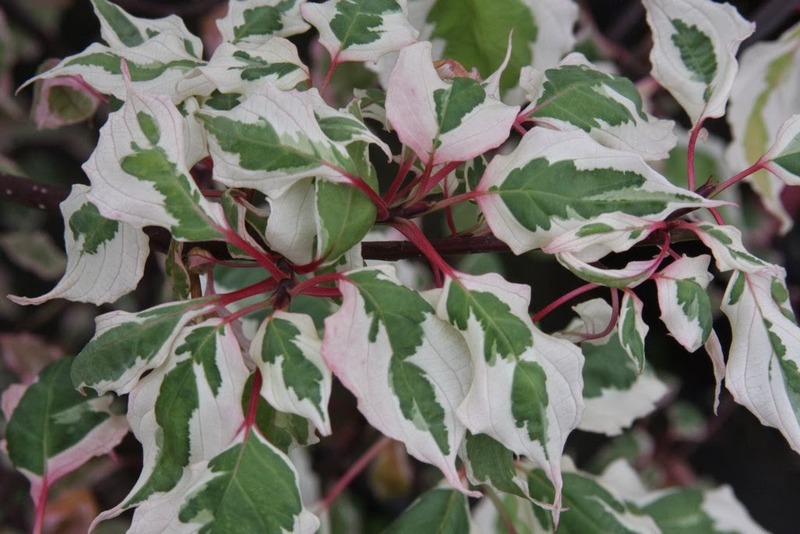 'Saya' is one of the most exciting of any variegated plant, but unfortunately it is prone to reversion. It could become one of my dead-end selections that I often seem to find, after wasting a lot of time and money. And sadly, I named the possible dud after my youngest daughter. Spoken Saya in Japanese can mean any number of things, but my daughter's characters indicated a "field of flowers." 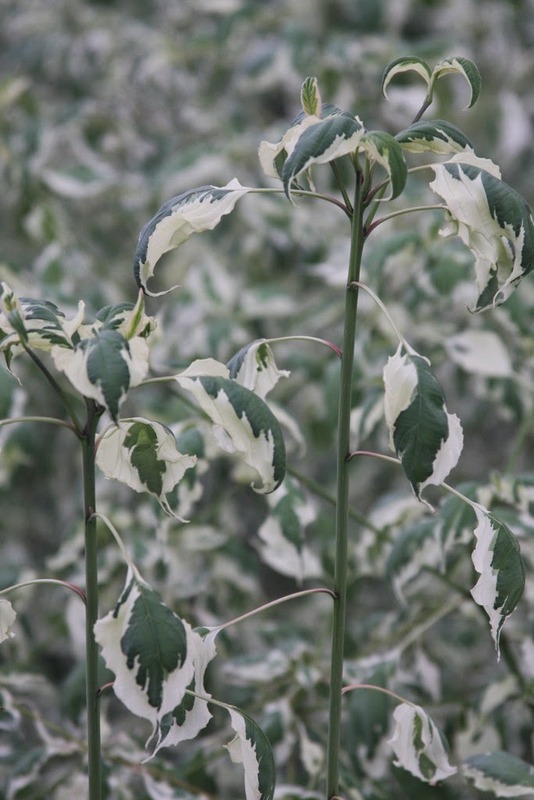 Cornus alternifolia 'Moonlight' occurred as a branch mutation on a green rootstock, and it is quite stable. 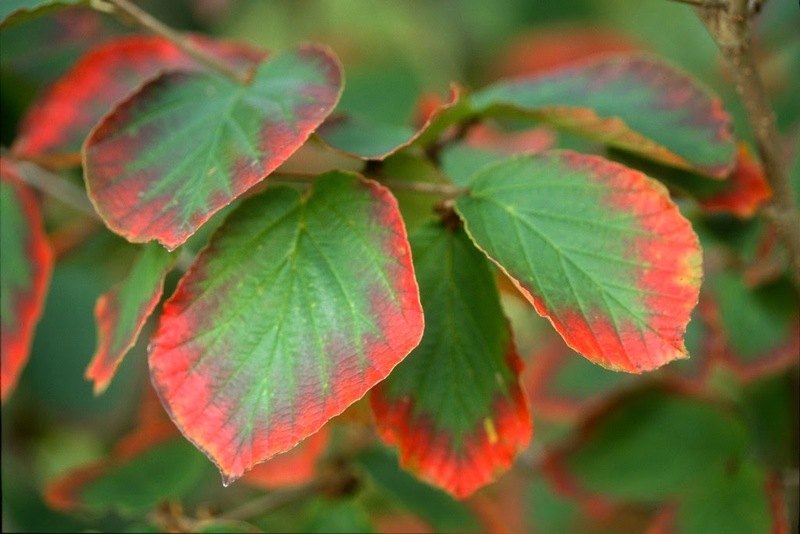 Throughout spring and summer it resembles 'Argentea', but in autumn the 'Moonlight' tends to display more reddish-purple foliage. 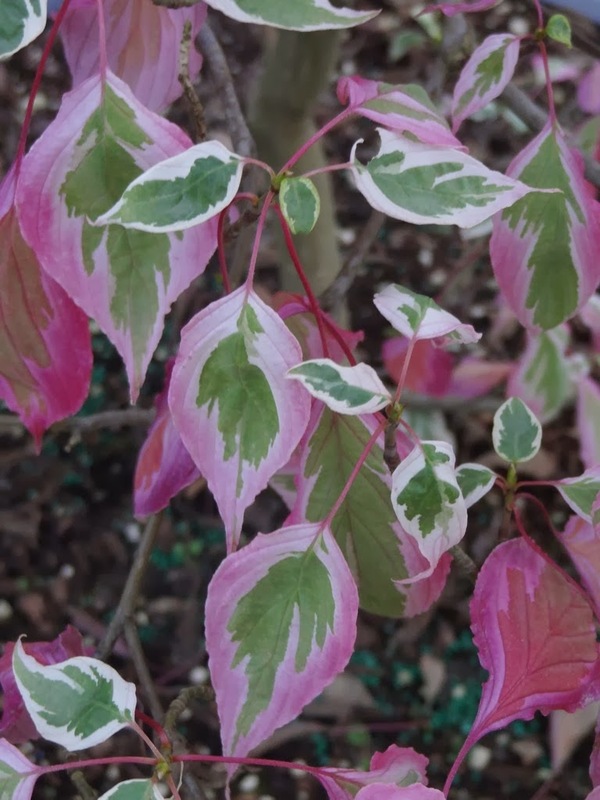 My start of 'Odd Leaf' came from Kate Brook Nursery in Vermont, and I assume that it originated as a seedling. No one thinks of it as beautiful, but it's just odd enough that customers are attracted to it. 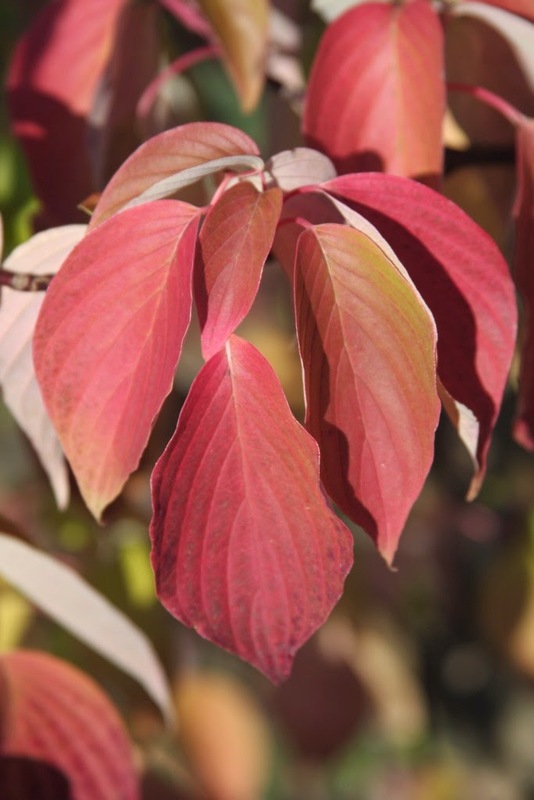 We also grafted the choice 'Variegata' cultivar of Cornus controversa. 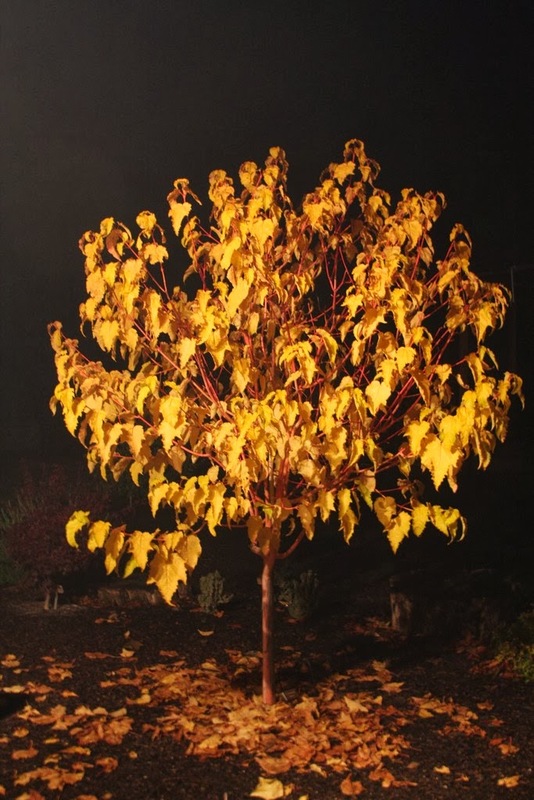 The species and the cultivar are known for sweeping horizontal branching, and I can think of nothing better for a lawn tree. 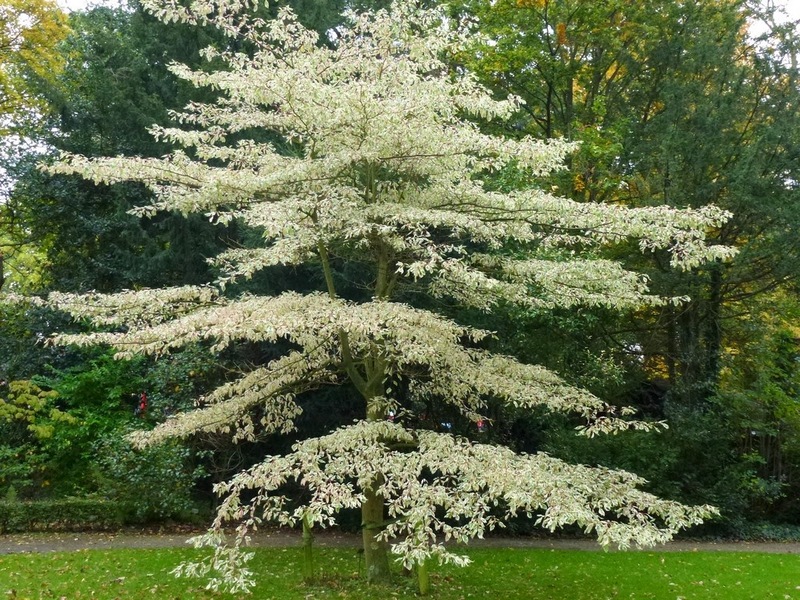 The full-tree photo above was taken at Arboretum Trompenburg in Rotterdam, on a gloomy rainy day, but nevertheless it displayed great luster and was the star of the garden. Every one of my five visits to Trompenburg was wet and gloomy, but it is still my favorite garden in Europe. 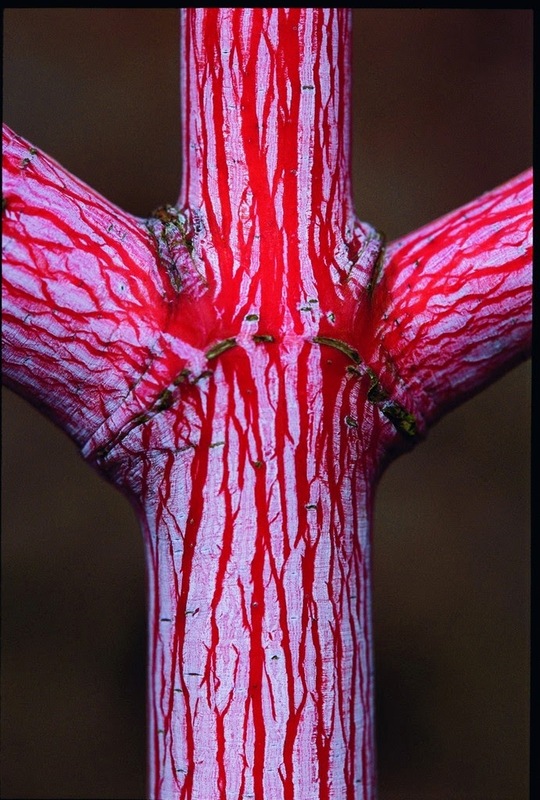 We graft oaks on our hot-callus pipes and achieve far better success than on the traditional greenhouse benches. 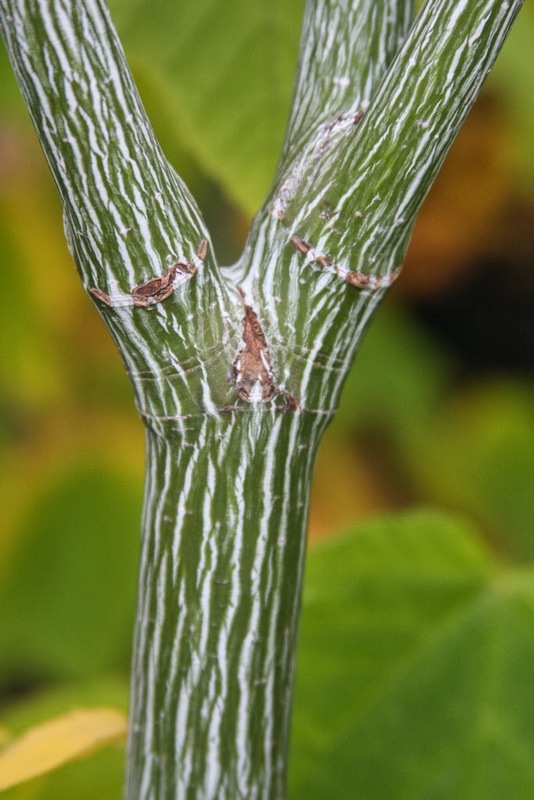 The heat is kept at a steady 70 degrees F for a period of three weeks, and if grafts stay on the direct heat for longer, there is a possibility of over-callusing. This method of "cheating nature" is what a lot of propagation is all about, for the goal is to speed things up and make a quicker profit. If I was wealthy I would grow plants but not bother to sell them, and I would leave the natural processes alone. 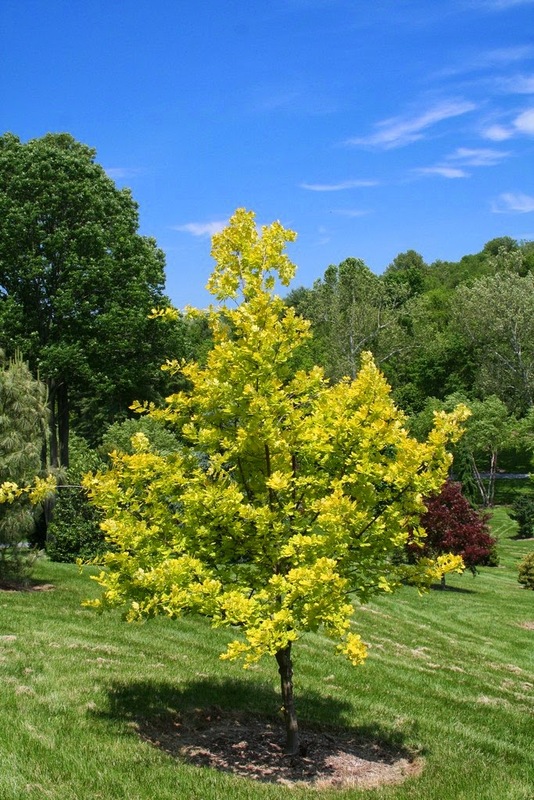 Oaks propagated this year include Quercus robur ("English Oak") 'Concordia and 'Butterbee', both golden cultivars. 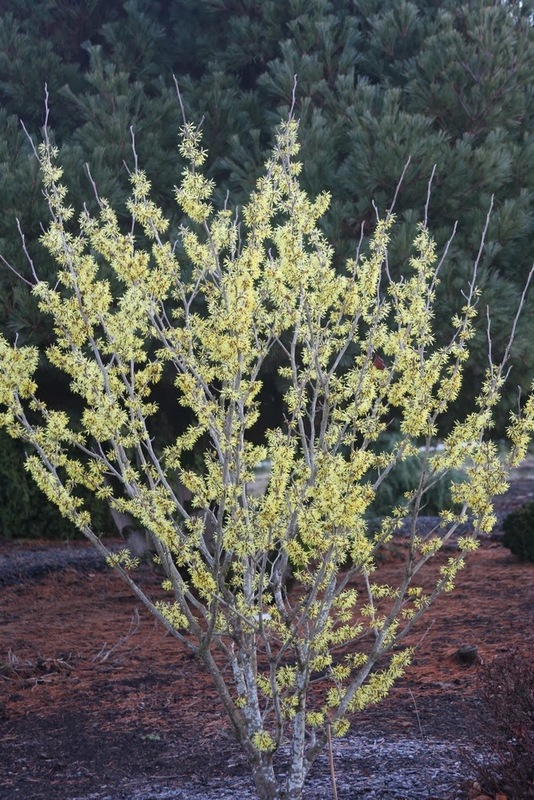 Both stay quite yellow all season in Oregon, and do not burn when established and given adequate moisture. 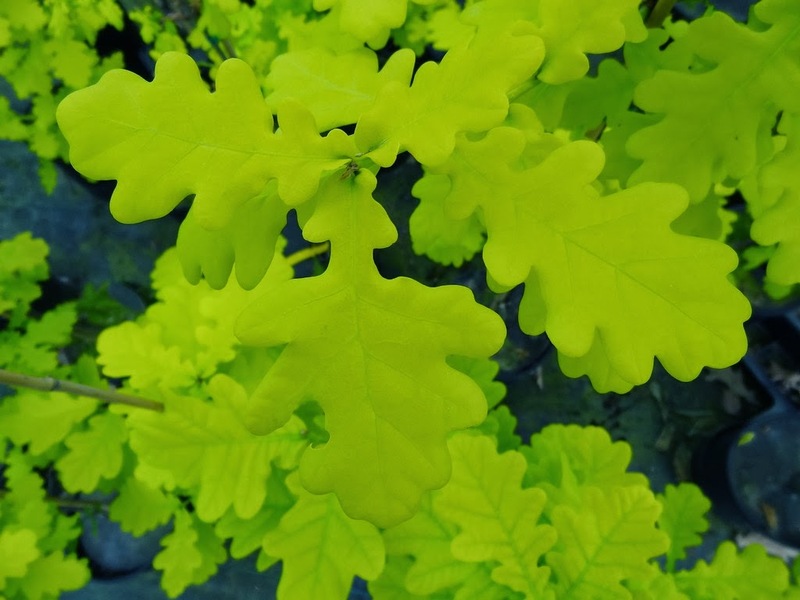 On the east coast the golden oaks are said to emerge yellow, but then mature to green. Too bad, and I assume that is due to the higher summer humidity, which thankfully we don't experience. 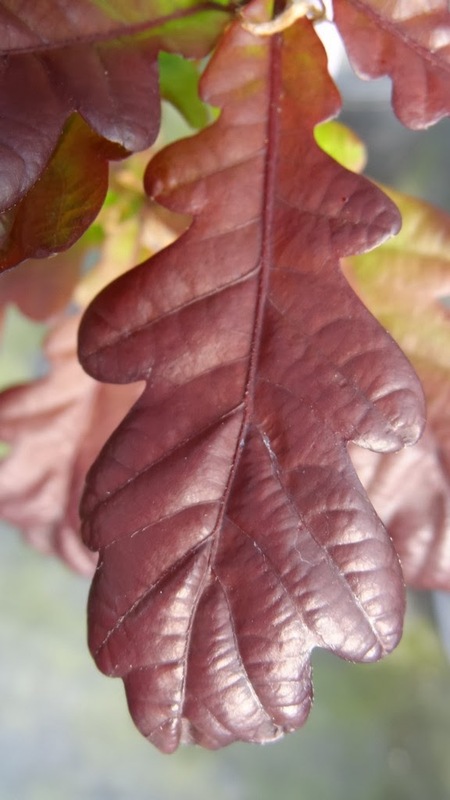 We also grafted Quercus robur 'Purpurea' which features purple-red foliage. 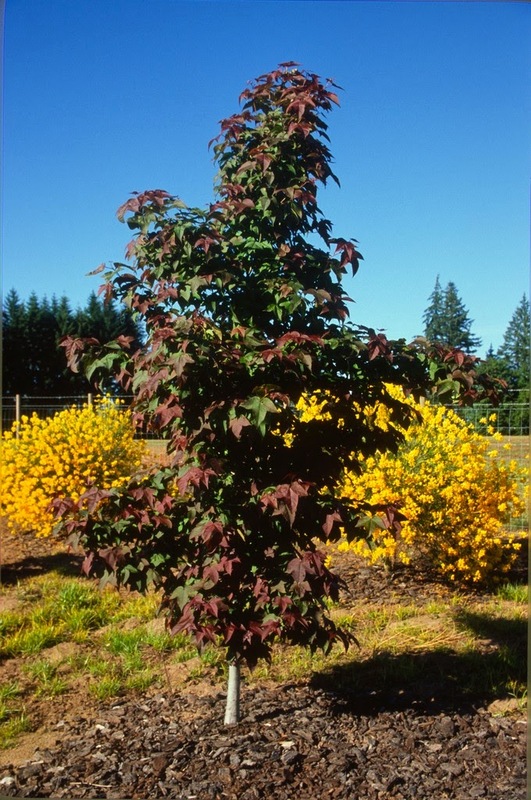 None of these three cultivars display much for autumn color, unless you consider dead-brown a color. 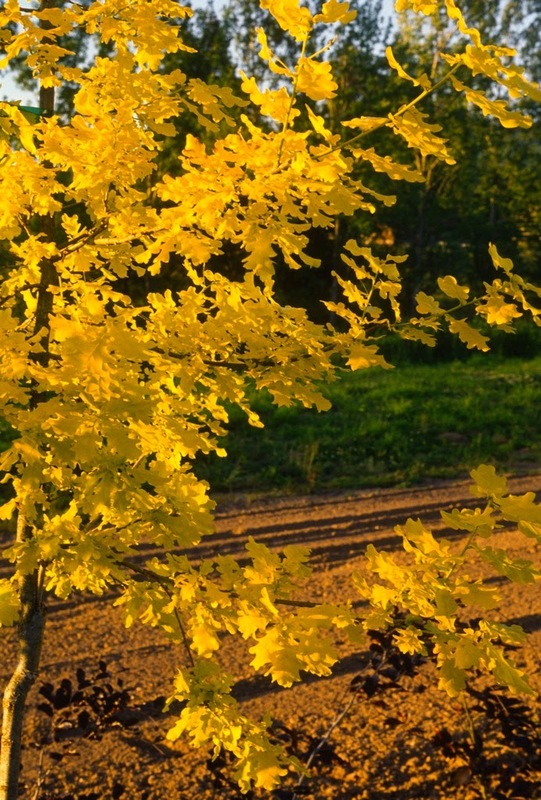 Quercus is the Latin name for "oak," while robur is Latin for "strength" or "hard timber." 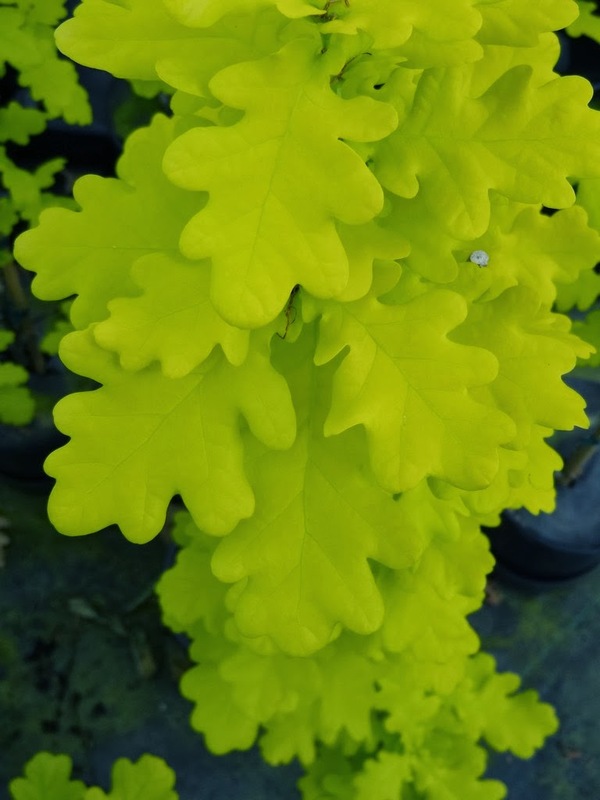 "English Oak," like Oregon's native Quercus garryana, are both in the white-oak section of the genus, and are fortunately immune to the Sudden Oak Death disease (Phytophthora ramorum). 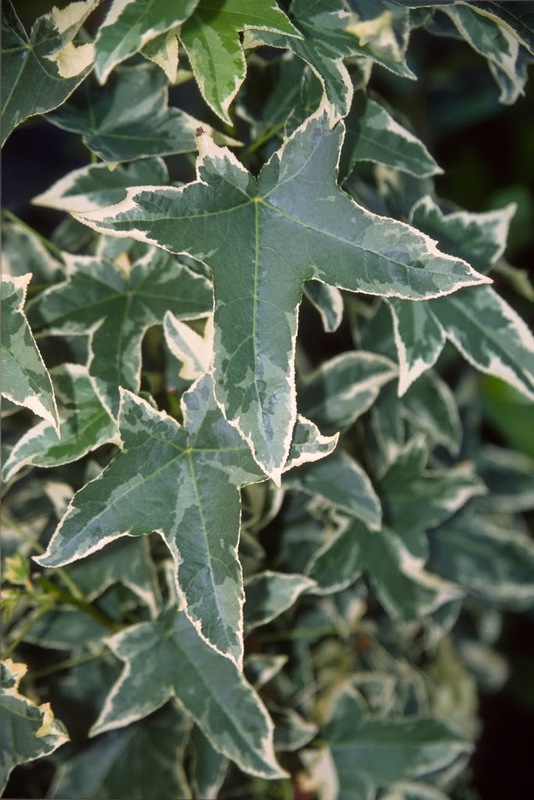 Liquidambar styraciflua is commonly known as "Sweetgum," and in fact both its genus name and species name refer to its sweet sap. 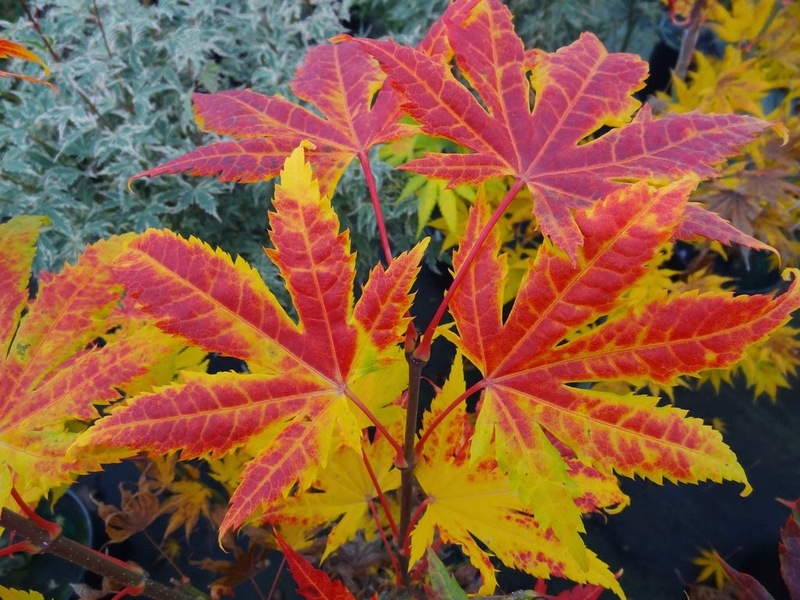 Its maple-like leaves have five-to-seven pointed lobes, and can turn into fantastic colors in fall. Unfortunately the species can attain huge size, and it is especially susceptible to ice-storm damage. 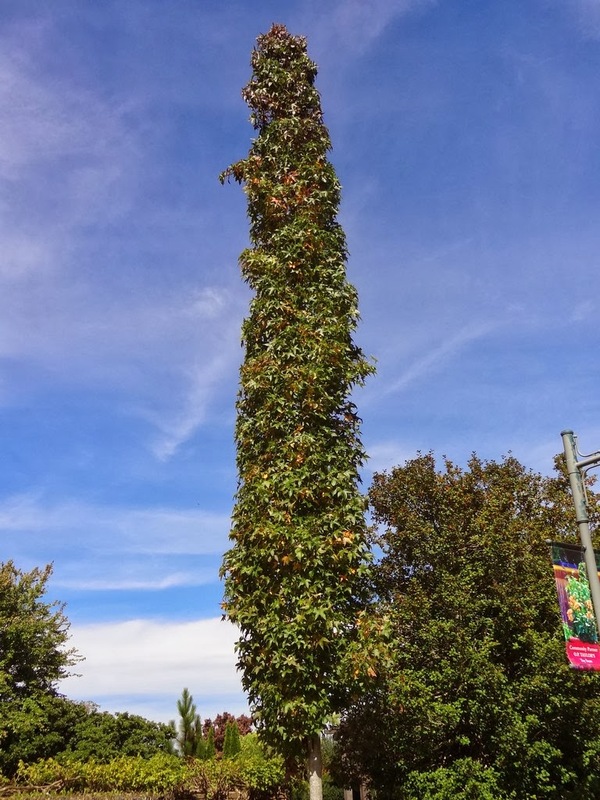 That problem can be solved by growing a newly selected columnar form named 'Slender Silhouette', and it will turn into an orange-red-purple pillar in fall. 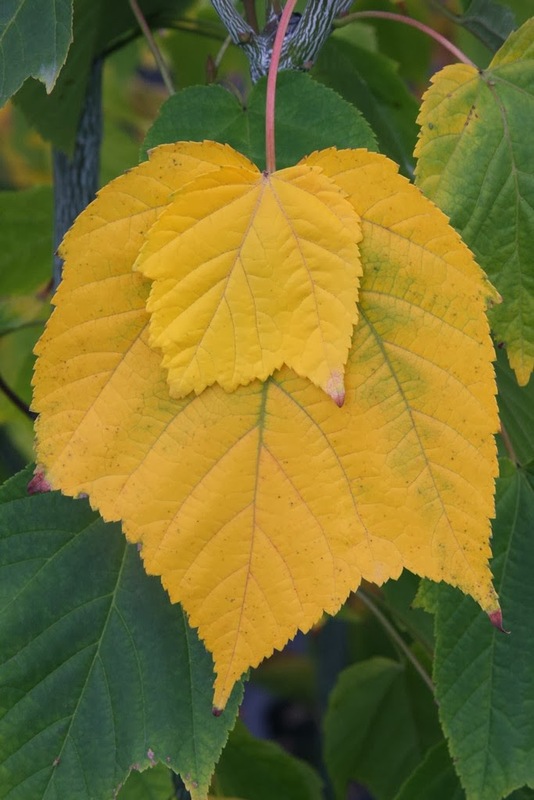 This clone was a discovery by Tennessee nurseryman, Don Shadow. Because it is easy to propagate it has been passed around quickly, and I'm cautious to not grow too many, no matter how great it is. 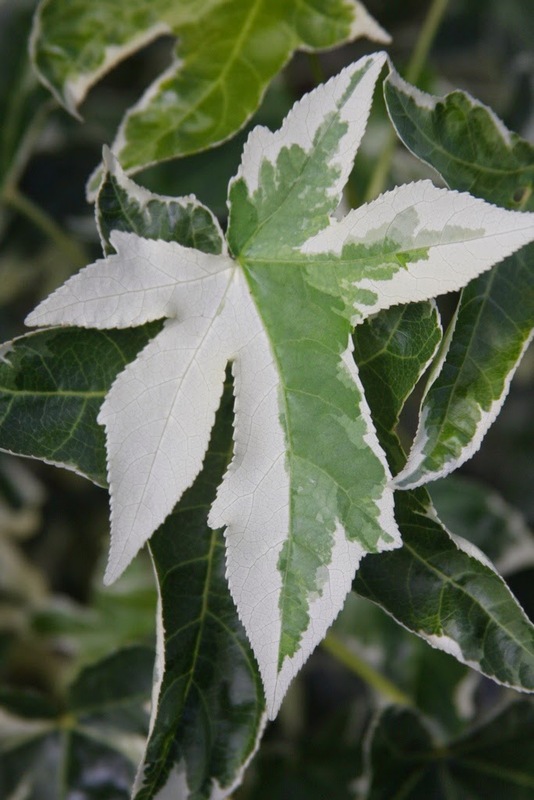 We also grafted a few Liquidambar styraciflua 'Silver King', a vigorous cultivar with white and green leaves that do not burn in Oregon's brutal dry-heat summer. 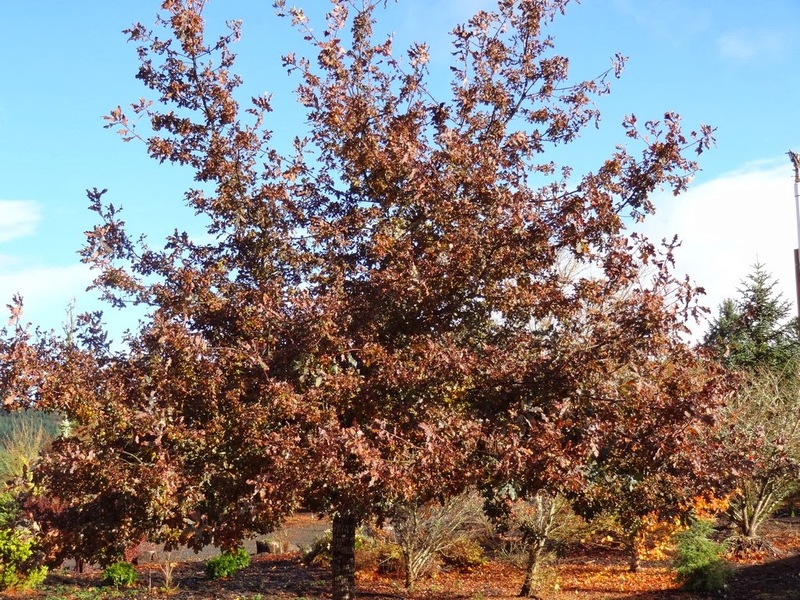 Liquidambar acalycina is difficult to pronounce, so just call it the "Chinese Sweetgum." 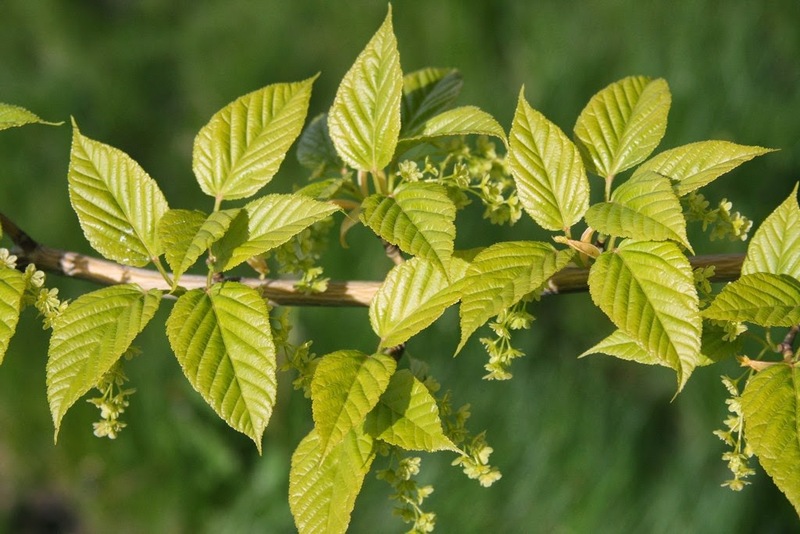 Tri-lobed leaves emerge reddish-purple, then green somewhat in summer. 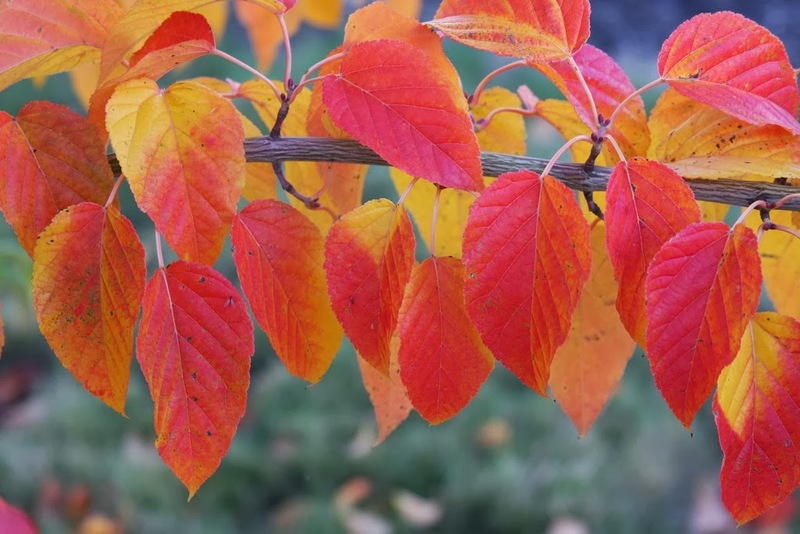 Autumn color is a fantastic purple. When young, acalycina has a narrow pyramidal form, but it will broaden at maturity. The spikey gumballs have been used for centuries in Chinese medicine; they are named lu lu tong, or "all roads open." 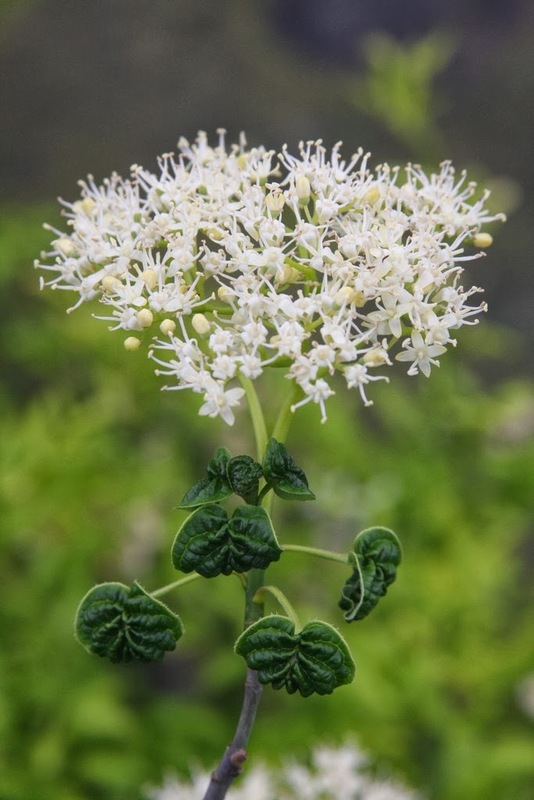 It promotes the movement of blood, water metabolism and urination, nasal congestion, and if needed, it's helpful to expel wind. 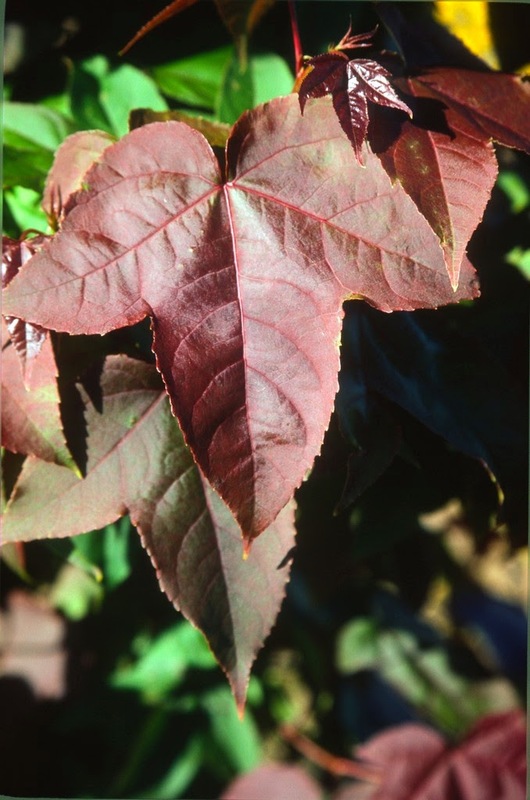 There's also possible value in sweetgum fruit for treating avian flu, due to significant amounts of shikimic acid. 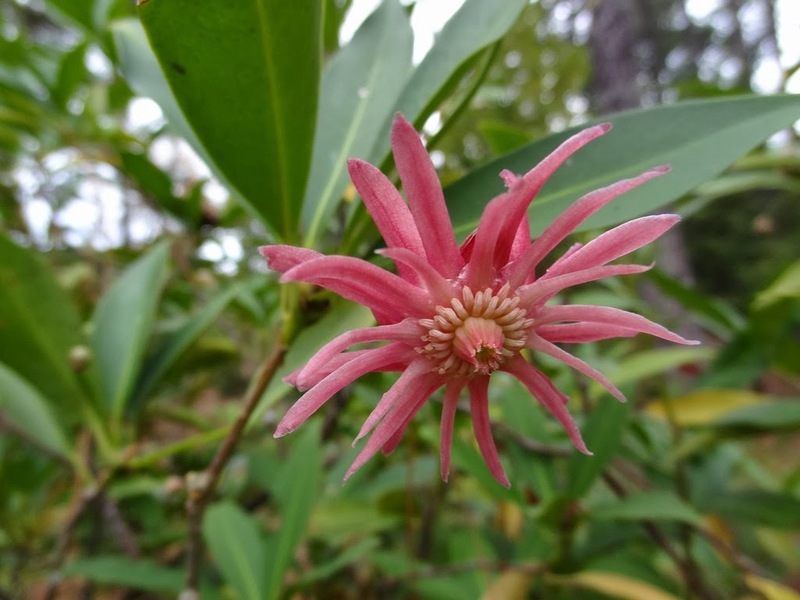 The shikimic name comes from the Japanese flower shikimi, the "Japanese Star Anise," Illicium anisatum. 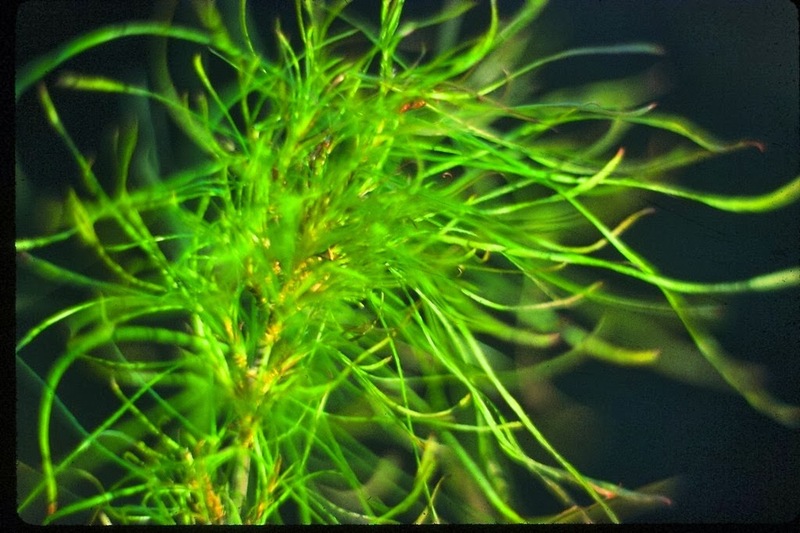 The species acalycina is pronounced a-ka-lee-kin-uh, and means "without a calyx." A calyx is a Latin word (from Greek kalux) meaning "husk" or "pod," and is related to Greek kaluptein, "to hide. Some suggest that calyx is connected with Greek kylix for "drinking cup." 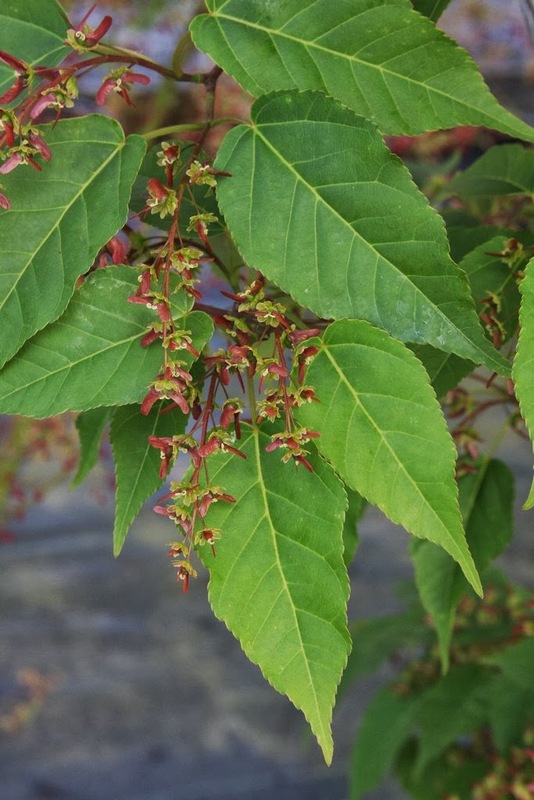 I should point out that these "husks or pods" have nothing to do with the spiky gumballs, but rather the liquidambar's greenish flowers. Anyway, that's quite a lot of verbal wandering...especially from one who is not exactly Mr. Botany. 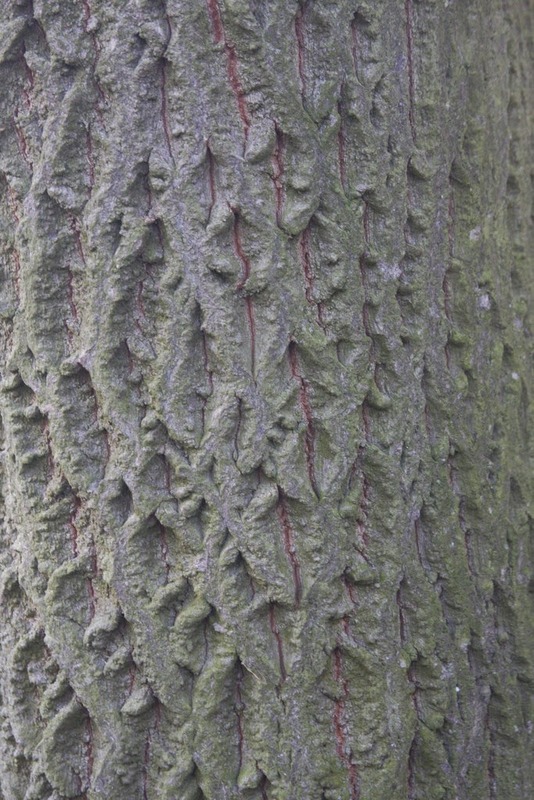 Speaking of wandering, I began the blog by saying that most of our grafting this winter was conifers, and I have failed to mention any. But maybe I'll get to that next week. Please bear with this letter. About twenty years ago we notified a longtime customer that his order was ready and we would be shipping soon. He seemed a little agitated and concerned about it, hesitated a little and then sighed, “Well, OK.” I replied, “Gee what’s wrong?” You sound like you don’t want the plants you ordered.” He explained that his nursery was on the edge of the Mississippi River and its flooding situation was all over the news. The forecast was for increased flooding, which would then wash his nursery down to the Gulf of Mexico. I said in horror that no, we wouldn’t ship his plants, we could wait and see what happens. It turned out the forecast was incorrect, the river crested and the nursery was saved. We later shipped the plants and he was grateful that we postponed for his sake. The point is that he felt obligated to take the plants he had ordered so as not to inconvenience my company. I was very impressed with his professionalism. Don’t we wish that all of our customers were like that? In thirty four years of business I have never cancelled anything. Sometimes I have made bad decisions and ordered goods that I wished later I hadn’t. But I always feel that it is not right to pass my problem onto others. The river story shows that I know life and its unusual circumstances. Maybe you ordered something only to learn later it’s not hardy for your area, or you die, or you have the Mississippi washing your trees away. I know, things happen. So I’m not talking about those situations. But for the most part the “C” word is not well tolerated at Buchholz Nursery. Don’t give me your problems. Be professional and keep your commitments. If you’re not certain that you can be professional, then don’t order from us. We are simple, straight-forward folks. 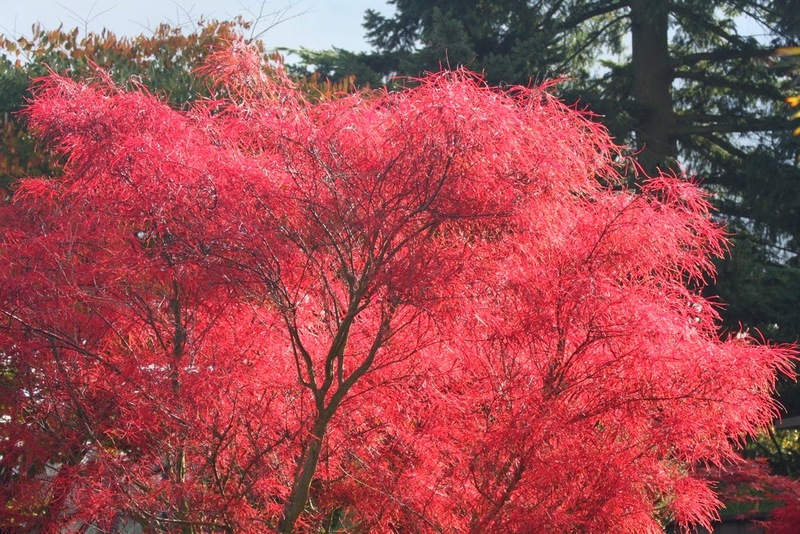 We deal with some of the most wonderful and successful nurseries and plantsmen in the world. We feel proud and fortunate to be in this business. But don’t wreck our relationship with the “Cancel” nonsense. I apologize to most of you, knowing that you don’t need this letter. My nursery is nothing without you, and I thank you for your support.